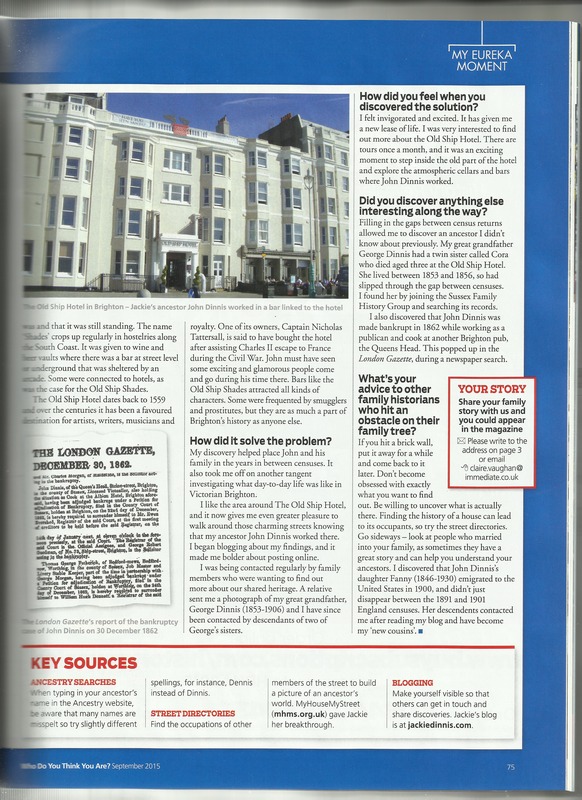 This entry was posted in George Dinnis, jackiedinnis, John Dinnis and tagged Family History, magazine, who do you think you are, Writing. Bookmark the permalink. 8 Responses to Who Do You Think You Are? Thank you Jacqi, there’s something very satisfying about seeing your name in print! 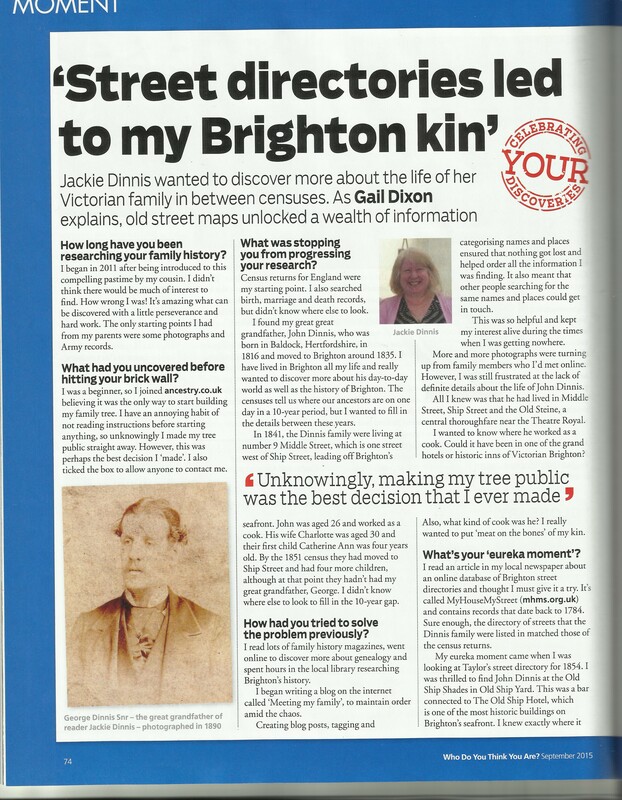 Thank you Genealogy Lady, I love writing and the only success I’ve had in getting published has been mainly Family History magazines. Thank you very much! Now to start on my next writing project – it takes me ages to put something together! I just read your magazine article in Brisbane, Australia. You’ve inspired me to think more about blogging and writing my family history in general. Thank you! Glad to hear from you Ingrid, I enjoy writing my family history very much, it’s amazing who you find! And blogging helps me keep a track of everyone and what I’ve found! Good luck!